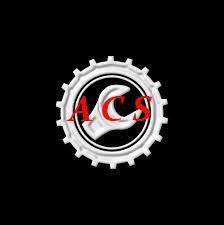 "ACS Garage provides a wide range of auto repair services: Automatic, cvt, semi-automatic gearbox repair and overhaul, scheduled service, diagnostics with latest equipment, brakes and suspension repair, comprehensive engine repair and electrical problemsThe mission of ACS Garage is to provide high quality, convenient and comprehensive auto repair at low cost.An addition to the only garage that deals with automatic gearboxes in the town. This gives an opportunity for client to make a choice on where to go just in case they will have a problem.The most important aspect of our business is trust. It is the goal of our firm to have 100 customer satisfaction in regards to quality, friendliness, time of completion andto discover new ways to exceed the expectations of our clients." Adam is an honest man. And to me trust is so important when it comes to fixing your car. This guy has worked as an engineer for luxury brands previously and knows what he's doing. He fixed my car in half the time and half the price that Mercedes would have charged me. Diagnosed my car in front of me and charged me half the price for the diagnosis that Mercedes quoted me. He is reliable,honest and good at his job. What more do you need. First class service great price would highly recommend.